When I looked up Linen World for this Linen World review, I was fully expecting to find a bunch of bed sheets. To my surprise (and because I am clearly not observant enough), I found that the Linen World MLM is actually called Linen World and More. The official trademark is Linen World. What I found was lots of items for your home and items that are similar to what Bed, Bath and Beyond sell. I have to say, I don’t mind purchasing these type of home products from Linen World because I absolutely hate how cluttered my local home store is. However, I can always go when it’s not crowded. There is an advantage to being able to hold the product before you buy and not worry about the hassle of return shipping if you end up not liking the product. Nonetheless, Linen World Products seem to be high quality and you can support your local neighbor or friends if you buy from them. The question then, Is do YOU want to Sell Linen World products? If so, why would you want to do that? For the discount? For the money making opportunity? Most people join a mlm with money stars in their eyes and generally it’s after they hear of how successful a friend might have been with Linen World. You have to be weary of these claims because in the multi level marketing world, people will say anything to get you to join as a consultant because they will ultimately make money off you joining and off of your sales. But I’m not hear to lecture you on if you can trust your friends who are trying to get you to join Linen World or any other mlm for that matter. This mlm reviews site is mainly to give you a run down of the mlm opportunity and let you decide if it’s something you want to pursue. Let’s get this Linen World Review started then! 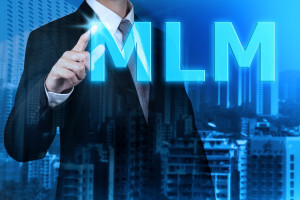 Before you start any mlm opportunity, you need to make sure you realize what it is that you will be promoting and making sure that the product is something you stand behind. Selling items at a Linen World Party that you don’t believe in or do not care for will make you come across as dishonest and fake and you will not last long in any opportunity like that. The Linen World Products consist of home items. That just about covers everything. 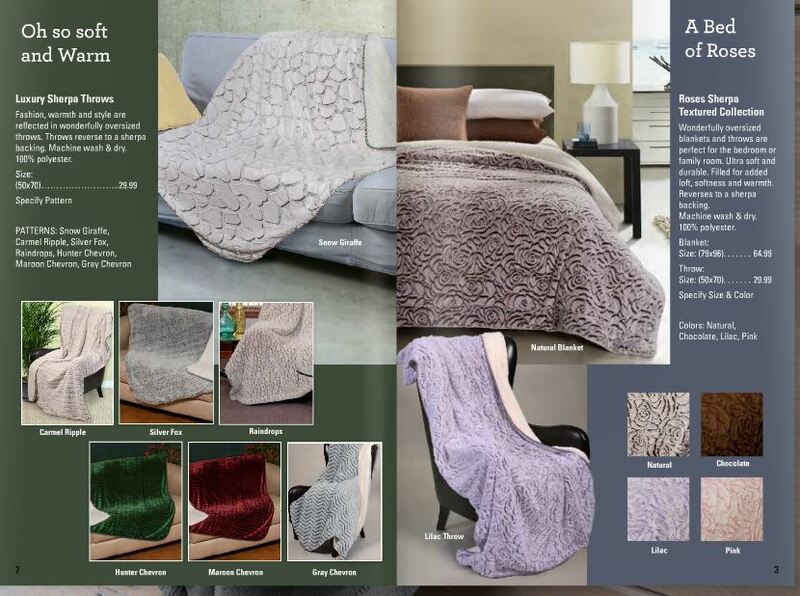 As you take a look at the Linen World Catalog, your first impression may be eye opening because the first pages of it are well organized and contain some really unique blankets. As you start to leaf through the remainder of the catalogue, you start to get a bit of let down though. For me, it seemed as though I was walking into the Boscov’s discount auditorium or taking a stroll through an “As Seen on TV” flea market the further back in the catalog I got. Just about when you’re almost done, the catalog goes back to be somewhat interesting but nothing that knocked my socks off. I was really impressed with the textured throws and blankets by Linen World and wouldn’t mind having some for myself. My concern with selling LinenWorld Products is that they offer only a few very unique items that seem only can be found in the Linen World catalog. I would worry if there were enough products that would sell to sustain my business. IN mlm, you better have products that WOW or be an exceptionally good sales person. The only other option would be to drive a ton of traffic to your online Linen World Consultant site and to optimize all products in your area. The products are ones that people buy, but you will have to compete with infomercials, your local homestore and WalMart. (And possibly even the guy who puts up a blanket tent and sells huge blankets with nice prints for CHEAP. Speaking of cheap, the Linen World products were very reasonably priced in comparison to competitors so it really comes down to supply and demand for you as a consultant. LinenWorld Textured Blankets that are big enough to fit Queen Beds. –Really cool! A very unique Shower Curtain that has multiple pockets in it….but all I can envision is the collection of mold and the more to take care off as the curtain ages issues. Did you notice how it just seems “meh” as the list went on? If not, then forgive me if I offend you but I’m not impressed with these mlm products. For a mlm product to impress me it has to be unique and only offered by that particular company. The items in this Linen world catalog are few and far between and I’m not convinced that you can make a great living off of items that are this low of a cost. I can go to my local Walmart and get most of them. Ok…so you still want to join the Linen World Consultant Opportunity after taking a look at the products. You will need know how to make money with Linen World next. To become an Internet Marketing Consultant with Linen World you first have to follow the instructions and possible costs to get started. To join the Linen World as a marketing Consultant costs you absolutely NOTHING. This is a shocker because in the mlm world, there is always a fee for the consultant so let’s check out this comp plan and see if there is anything hiding on us. Linen World makes the claim that they are a no fee mlm and you don’t have charges or expenses EVER. I would be a bit cautious about believing the “no expenses” part because you do need to buy a domain and start your own blog (unless you are incredibly stupid and don’t care about who owns your content and the blog site that you work so hard to create). If you go into the mlm fee free opportunity, do yourself a favor and at the very least purchase your own domain and set up your own blog so that if something does go wrong with LinenWorld, you will at least still have a blog that you may be able to use for another similar affiliate product or mlm company out there. Linen World seems to have come up with a “new” way to get people to buy you with their “Revolutionary Catalog Show Mailing program.” I find this interesting because I have not hear of a Catalog show mailing program before but I imagine it’s where you mail a digital catalog to prospects. I’m weary of the fact that they don’t push home shows because selling these items online, like I already stated, is going to come with a lot of local competition and you are really going to have to know how to drive traffic to your site beyond your personal email list and your facebook friends. Even your own company facebook page is going to need some help to drive the right kind of traffic that will convert to sales. Ok…So there are no fees. What’s the catch? Of course to do a catalog show at home, you are going to need to offer to show people the product, so you will have show them….either that or get them really drunk and pass out catalogs and play fun Linen World Catalog games. I wonder why they don’t offer email??? I wonder if their customer support is good. What if you make a mistake, is it easily fixed or do you have to wait on hold for 45 minutes or wait until the product is shipped and then return it to change items on orders? Discounted Items – As a Linen World Consultant you receive a 25% discount on orders that you place for yourself, friends and family. That’s a pretty good deal….but what prevents others from joining Linen World as a Consultant just to get the discount? By the way, you DO NOT earn commission on top of the 25% discount when getting discounted items. Commission – You get a 20% commission on products ordered for your customers. Bonus – Earn a $50 Linen World Gift Card when you refer 5 other people to become Linen World Internet Marketing Consultants. Merchandise Credit – As a hostess (you or your friend), you earn 20% of the sales in Free Merchandise from Linen World when you have five or more orders. If you have 10 orders, you get a bonus of Linen World Product for only 99 cents and you can get something that costs up to $34.99 and if you have 15 orders, you get a product for $59.99 for the cost of $0.99. If you have a home party, it might benefit you to purchase a bunch of the products for “personal” use first so that you get the extra 5% commission but since the Linen World products are really not that big ticket of an item, it may not be worth the extra efforts and time you put into having a party. Hostesses of parties can earn free products. Here are some ways to promote and make money with Linen World (as suggested by them). Take the catalogs to work and ask them to order. You can do this with any group you are involved in and save them money by having the shipping to you for a one time fee rather then them having to pay the shipping if they ordered separately. Hey wait! Isn’t Linen World a MLM? Well..it’s listed on the top mlm company site as a trending mlm company, however…I’m not getting where there is the typical mlm benefits. To me it just seems like Linen World is more of an Affiliate Marketing Program with some perks. Linen World DOES offer Compensation on Team Building and leadership bonuses. This is where the mlm comes in. YOU HAVE to pay for a $49 Showcase Display if you want to earn from the Linen World Marketing experts that you bring in your downline. You also have to be actively pursuing the Linen World Opportunity as a career. This is determined by the fact that you maintain your Leadership Position with a $250 minimum in net sales every 3 months. So you have to spend $1000 per year in order to take advantage of the Leadership/Team Earnings. IF you fail to keep track of this and pay the $250 for product ever 3 months, you can lose your entire downline. The Linen World Compensation Plan clearly states that they can reassign your entire staff if you fail to buy the $250 in product at the BEGINNING of the first full quarter after you become a leader. Is joining Linen World worth the time you’re going to have to put in to build a team? Chances are, if you’re smart, that you will NOT join the leadership program until you have a really solid flow of online traffic going. It would be stupid to pay $250 if you don’t have anyone to bring in so don’t become a leader until you already have some people interested because after that, you’re going to have to pay that $250 religiously to keep your position and if it’s just one crappy Linen World rep…You’re in trouble. So How do you Make Money with Linen World as a Leader? I do LOVE this part of the Linen World Compensation Plan. As a leader you earn 4% in commission from your first generation and 2% from your second. This means that anyone that you personally sponsor, you will receive 4% of their sales. Anyone that is in your second level (people sponsored from the ones you brought in) will help you earn 2% of their sales. When you sell a certain amount as a TEAM, you can then earn ONCE a year. You can only contribute 20% in total to the annual sales amount. So if you invest $5,000 of your $25,000 sales, you get $1000 back IF you reach the goal. You would also receive the 20% commission on $20,000 which would be $4,000. Hmmm. So if you sell $25,000 worth of product and put in 5grand from your own pocket, you earn exactly NOTHING. Actually once you subtract the required $1000 yearly fee, you are in the red. Ok…let’s do the math for the $50,000 and the $100,000 bonus. Say you sell $50,000 of product. You are allowed to contribute $10,000 and earn commission on $40,000 which is $8000. So that’s $2000 less of what you spent and no profit. Add on the Cash Bonus of $2500 and you just made yourself $500….but take off the grand required and you are still in the red. $100,000 in product? You can contribute $20,000. You get commission on $80,000 which is $16,000. Then you get the $6000 bonus. So…$20,000 – $16,000 = $4,000 – $6000 = You get $2000 minus the grand for the yearly personal sales requirement and you get $1000 for all that effort. Something is telling me that you shouldn’t buy the product yourself but rather focus on building a team that you can earn a % from. Let’s check out the best case scenario. You sell $100,000 in sales and you MUST spend $400 in personal sales or Pay the $49. Son in a years time, you make $19951.00 and you get another $6000 as a bonus which takes you up to $25,951.00. Don’t forget to subtract the grand required in personal sales that will change your commissions slightly and take your profit down to $24,951. Not a lot of money so you are GOING to have to build a team of people who will also sell Linen World Blankets and Sheets and MORE! Once you get a team rolling, things should look a lot better but if you can’t see how important it is to know how to drive traffic to your Linen world site for the products and the business opportunity you need to WALK AWAY now. So many people don’t take the time to dig deep into the numbers with compensation plans like this and cant’ figure out why they worked so hard for NOTHING. Join the Linen World Business Opportunity? This opportunity is pretty good BUT ONLY if you know how to marketing online and a lot of people don’t. It’s not as simple as sitting at your computer working from home while your kids play. I would be cautious about not investing any money into the Linen World Opportunity because it will likely result in you not taking seriously enough to build a solid at home income. Even a grand is not that much to invest so you may even take that for “grandide” hahahah! I’m funny right? Anyways…if you don’t have enough invested in an opportunity, you will likely always find an excuse as to why not to work on your “new project” and then you’ll end up being one of those people who shout that Linen World is a scam! If you seriously want to sell linens from home (or anything for that matter) you are going to need marketing skills. Internet Marketing is a fierce place with high competition in all kinds of niches….yes….including the Linen niche, so you are going to have to KNOW HOW TO DRIVE TRAFFIC in order to even be remotely close to successful with any mlm opportunity. How do you get the marketing skills? You get yourself an EXPERIENCED online coach. Lucky you…I have one. I have a whole group actually. By the time you’re done with the program, you will likely be throwing this Linen World “idea” into the garbage and be pursuing mlms or products that offer you much higher rates of return for your efforts. You want to become a millionaire? Then you need to learn how to act, think and work like one. You need a Millionaire Mentor …or two. If you are serious about quitting your job and working online, then go ahead and schedule a call. There is a group of people who are being mentored by two millionaires (Brad and Dan) who provide a positive support group while you go through the lessons and the coaching. It is by far the best decision I ever made and invested in and you can join too. We are selective….so bring your best face and if you have a website….let’s talk about how you can make that business website make money for you. Think about how you found my website and then ask yourself if you want to tap into that type of power. You’d be crazy to say no…. I’m a little bit late to the mlm game but I sold a bunch of Linen World products for Christmas and was happy to make some extra cash. I think if you go into mlm as if it’s a fun experiment then you won’t be disappointed. I’m retired so I just do this in my free time. I totally love that you’re still working after retirement, however your story scares me. Not everyone can afford to just “wing” it in the sense that you are and many many people are mlm failures. I’d say if you enjoy it, then good for you!